High season! Cheap flights from Pittsburgh and New York (non-stop) to Aruba from only $275! 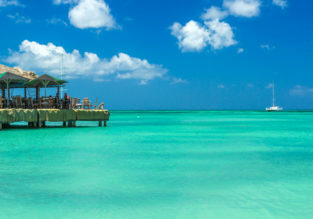 7-night stay at well-rated & beachfront apartment in Aruba + non-stop flights from New York for $456! Exotic Aruba awaits! Book 7-night stay in well-rated apartment and direct flights from New York for only $456 per person (based on 2 pax booking). Cheap flights from New York to Aruba for just $262! 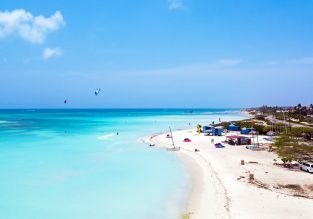 9-night stay at well-rated apartment in Aruba + non-stop flights from New York for $551! Exotic Aruba awaits! Book 7-night stay in well-rated apartment and direct flights from New York for only $551 per person (based on 2 pax booking). HIGH SEASON: cheap flights from US East Coast to Aruba from just $190! Non-stop from New York to Grenada, Aruba or Curacao from $242! Last minute non-stop from New York to Aruba or Sint Maarten from $203! Florida and Aruba/ Barbados/ Puerto Rico in one trip from New York from $240!